Are you thinking “what do storage units and romantic dates have to do with each other?” Well, not a lot, but never underestimate how much our team knows about things to do in Thousand Oaks, Camarillo, Westlake Village and all the other communities we serve! So, with Valentine’s Day just around the corner, we asked them for their suggestions for romantic date spots near Thousand Oaks. We think our team of Romeos did pretty well! Pearl District – Sophisticated, yet warm, cozy and inviting. This Westlake Village restaurant provides a first-class experience without pretensions. Foodies will not be disappointed for sure. Our team recommends couples request window seating to enjoy the blissful ambience. Osteria Orto – Request a table outside on the patio and enjoy a bottle of Chianti while dining on an authentic taste of Italy’s Adriatic Coast. Pastas are made from hand, every morning, and their menu changes seasonally to accentuate the day’s hand-chosen ingredients sourced locally. Located in Agoura Hills. Chocolatine French Café – You’ll be transported to Paris when you visit this lovely quaint French bistro-style café. We recommend dropping by for coffee and a Chocolate Croissant after a mid-day date. Or come for breakfast and enjoy their delicious quiche du jour. Gardens of the World – Sometimes you need to stop and smell the roses. Doing so can be part of a romantic date if you swing by this beautiful nature park in Thousand Oaks. Stroll hand in hand enjoying the array of flowers and plants, and bring a lunch to enjoy in the sycamore tree-shaded picnic area. It’s also a great place to pop any important questions…if you get the drift (wink, wink). See a Play – Share your appreciation for the arts with your date by enjoying a play at Camarillo Skyway Playhouse. This more intimate playhouse is a rare gem, and although the building is humble, the talent of the performers is undeniable. Tickets are very reasonably priced, possibly leaving room in your budget for a post-show dessert. Couple’s Massage – Share a tranquil massage with the one you love at the Four Seasons Spa in Westlake Village. It’s a luxurious treat, but you’re worth it, and so is your special someone. Wine Tasting – You’ll find a lovely winery and tasting room where you’d least expect it when you visit Aldabella Winery in Westlake Village. Tucked into an industrial park, you’ll be pleasantly surprised when you enter their wonderfully appointed tasting room. Come early for tastings, or come later and check out live entertainment. CMATO – Did you know that the California Museum of Art Thousand Oaks moved into a 5,000 square-foot space in the Oaks Mall? It’s true! Brush up on the exhibition on the museum’s website before taking your love to visit and impress with your knowledge of the art! 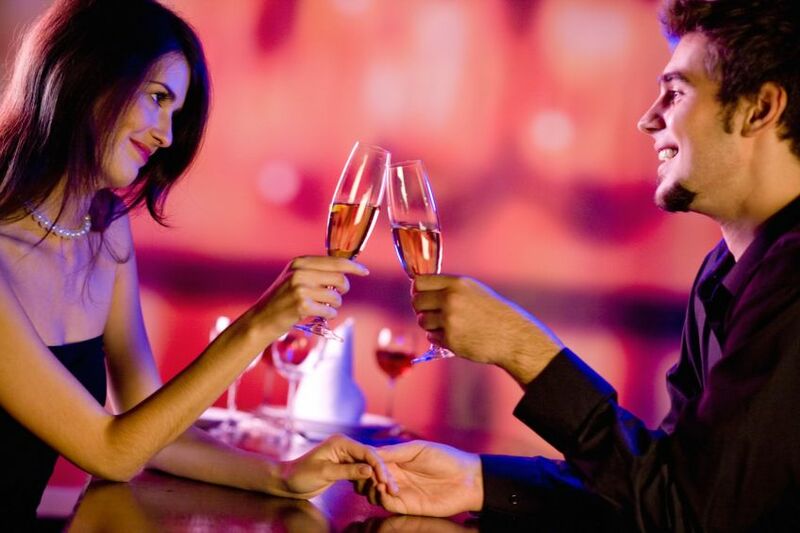 Whether you’re newly dating or married for years, enjoying a romantic date with your significant other is a great way to keep the flame burning! Thank you to our storage experts for these fab suggestions. We’d love to hear your ideas too! This entry was posted in Hollywood Storage Center, Things to do near Thousand Oaks and tagged Agoura Hills, date night, hollywood storage, romantic date, storage unit, Things to do in Thousand Oaks, Thousand Oaks, Valentine's Day, Westlake Village by Hollywood Storage Center. Bookmark the permalink.